At Technology Tree, we don’t just talk the talk, but we walk the walk. Check out some of our case studies from previous (and ongoing) clients that we worked closely with to achieve their goals. Canyon Resources Limited is a mining organisation focused on developing African mining exploration and mining development projects – they are currently involved in the Minim Martap Project, a large-scale bauxite deposit located in the Adamawa region of Cameroon. Canyon is a multi-site business that is not restricted to Perth, and emphasised the importance of having a central, secure and efficient IT environment, with a standardised communication platform to aid business growth. Canyon also approached us about developing a modern and user-friendly website, as their present site was outdated and neglected important information about their current projects. For Canyon, we decided that Microsoft 365 was the best deployment for their organisation. Not only does the program encompass Outlook for all email needs, as well as apps like Word, Excel and PowerPoint, but also apps like OneDrive for storage, and Microsoft Teams, a collaboration tool to combine workplace chat, meetings, notes and attachments. Integration of Microsoft 365 made way for a cohesive IT environment and eliminated any operating issues that came from multiple applications. We installed JAMF Now as a mobile device management solution for Mac, iPad and iPhone devices in the workplace, to make tasks such as securing data, distributing helpful apps and deploying wi-fi, simple and affordable which meant Canyon could focus on their business instead. We also set up and established the migration from DropBox to SharePoint Document Library’s and utilised Sharepoint Team sites for ease of management and collaboration. SharePoint is a web-based collaborative platform that integrates with the Microsoft software we used for Canyon. DropBox is merely a file-storing tool, with SharePoint a multifaceted and united application for users to store information in one place as well as multiple versions of a file, and encourage collaboration, particularly for organisations - like Canyon – that are not geographically connected as everything users need is in a single location. When we began the development of Canyons website, they provided us with a pool of images and specified which pictures they wanted used, as well as their branding and style guide to ensure we had enough content to begin building their ideal page. The client provided examples of websites that they liked and wanted elements of these sites reproduced on their own, which was helpful for us to envision just how they wanted their site to look. With guidance, we began pulling details from the current live Canyon website, as well as relevant information provided by the client about projects and staff, to create a comprehensive website that was not distracted or overwhelmed with irrelevant content. We worked closely with Canyon and constantly updated, changed and edited the site with the helpful feedback we received from those involved. The client was willing to compromise with us when we believed components did or did not need changing, but we also worked hard to produce a site that was congruent to the vision the client had. Throughout our work with Canyon Resources, the organisation went from explorational mining to being awarded the large-scale mining operation of Minim Martap in August 2018. With efficient IT operations in place, a consolidated, effective network, and a modern, functioning website to further catapult them into the public eye, we are confident in the smooth running of Canyon Resources for the future. Elect Training & Consulting are a Western Australia based training group that specialise in Workplace Health and Safety and offer courses and information for clients to reduce risk and create a safer, healthier work place. Mark Small, the Director and Founder of Elect, came to us hoping to create a modern and user-friendly website that can service all platforms to advertise and sell his services. However, Mark simply did not know where to start! This is where we utilised our web design experts to create a minimal, modern and search engine optimised site to get Mark up and running. Starting a new business is a pretty daunting and complicated endeavour, with more than enough time-consuming components to consider, and to get yourself and your business out into the public eye is not as easy as one might think. A digital presence, in our increasingly digital age, is more and more integral to the success of a business like Elect, where a simple website can make all the difference in winning clients. We wanted to give Mark a platform from which he could then grow over time as his business progressed. As a Squarespace partner, we chose to implement a website through this medium. We used a template that was simple, concise and provided a range of options for users to explore, to fully understand what Elect was all about. Using this platform, his search engine optimisation (SEO) is already optimised, and when the time is right, can be built upon using a paid search strategy that is now very common for those looking to bring more clients to their business. The website was also integrated with Marks LinkedIn feed, creating not only a web presence but an important social media one too. A thorough consultation, effective communication and a talented design team meant that Mark was able to launch his website the same day he opened his training business. We gave Mark the ability to edit and update his site whenever he needs and continue working with Mark to ensure he is completely satisfied with what his website is representing for his business and his brand. 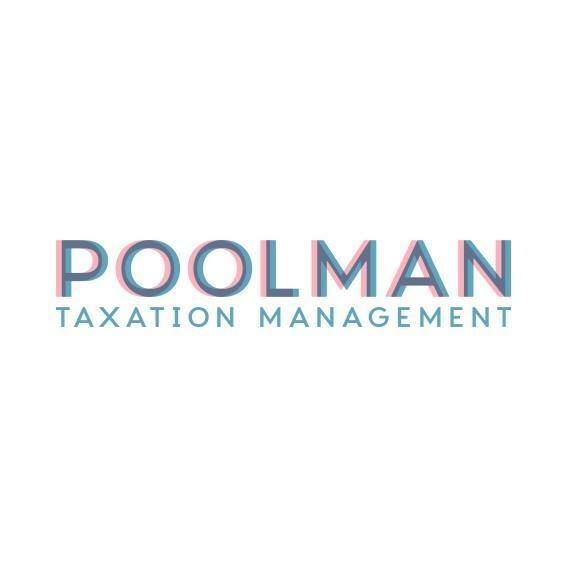 Poolman Taxation are a boutique accounting firm based in Perth, Western Australia, who bridge the gaps between creativity, commerce and compliance. The business recently underwent a restructure and identified that they had no overall IT support, coupled with little or no direction for their IT framework. They recognised the need to move from Google Business (G Suite) to something more complete for their operations and were in the process of moving their practice from MYOB AE to Xero Practice Manager. The client was stuck in a time-warp, operating on legacy hardware that was outdated and inefficient. Their main objective was to create a simple, efficient and well-run IT environment, and work closely with a managed service that they found in us. We are all about making things easier for you, and so when we were approached by Bob at Poolman for this job, we were excited to show just how much easier business can be with a well-managed IT program. We decided to implement a cloud-first approach to all infrastructure, hardware and software solutions. Utilising the Microsoft 365 Business Suite of services, such as InTune, Azure AD and Office 365 and standardising the office with Dell Hardware, we delivered this cloud approach seamlessly for all users. We migrated all email and communications from G Suite over to Exchange Online and had all file data migrated to OneDrive and SharePoint, creating a localised meeting point for all information. As a result of these moves, their legacy environment was shut down and turned off. Other services, including domain name registration, domain name services, Trend Cloud App security, as well as a website built with Squarespace, were standardised and completed. The addition of a website meant clients were able to find and contact the business easily, to aid in the growth and expansion of Poolman Taxation. With our help, the client has taken ownership of their IT infrastructure, with a better understanding of the budgets and expenditure necessary for their IT needs. Poolman have a better web presence (because who bothers with the Yellow Pages these days?) to cement their place in the online taxation world and provide updated information to existing and new clients alike. The client has been welcomed to the world of modern, 2018 IT, with a level of comfort that enables them to grow in a way that is achievable and not overwhelming. For us at Technology Tree, working with Poolman Taxation reminded us of the importance of making things straightforward for our clients, watching the uncertainty of those involved at Poolman shift to a satisfied and secure state of being.